"Breaking Free" is one of the hit singles from the movie High School Musical. On the movie soundtrack, the song also appears under "Breaking Free". The song is sung in the movie by Troy Bolton and Gabriella Montez. This song has many versions to it as well. In the "High School Musical Around the World" version, music videos were shown of "Breaking Free" in many different nationalities. This is the climax song in the movie and the song for Troy and Gabriella's final callback. This song takes place on stage in front of the entire student body. At first, Gabriella has stage fright. Then Troy tells her to remember "like kindergatren". They do an amazing performance and land the roles of Arnold and Minnie, to the disdain of Sharpay and Ryan. Many large theatre auditions call for a 16-bar excerpt, and sometimes specifically request pop/rock songs. This book unprecedentedly answers that need. Beyond theatre, this volume will be useful for other audition calls requiring a brief song. Each volume includes great songs from the 1950s to the 21st century. Each excerpt has been given a thoughtful and effective form. Whether you're a karaoke singer or preparing for an audition, the Pro Vocal series is for you. The book contains the lyrics, melody, and chord symbols for eight classic songs. The CD contains demos for listening and separate backing tracks so you can sing along. The CD is playable on any CD, but it is also enhanced for PC and Mac computer users so you can adjust the recording to any pitch without changing the tempo! Perfect for home rehearsal, parties, auditions, corporate events, and gigs without a backup band. Songs in authentic versions, chosen especially for teens, with introductory notes about shows and plots; recorded accompaniment CDs are available. The Tenor edition features 36 songs. Songs in authentic versions, chosen especially for teens, with introductory notes about shows and plots; recorded accompaniment CDs are available. The Tenor edition features 36 songs, including: Anthem - Any Dream Will Do - Breaking Free - Close Every Door - Giants in the Sky - Here I Come - I'm Calm - Not While I'm Around - On the Street Where You Live - Something's Coming - That Face - When She Loved Me -Younger Than Springtime and more. Be a part of a professionally recorded choir with this new series, as you just pick your part and sing along! This collection contains 8 hits from classic and contemporary Disney original features. This original movie from the Disney Channel chronicles the story of two high schoolers who discover their love for singing and challenge their cliques in the process. 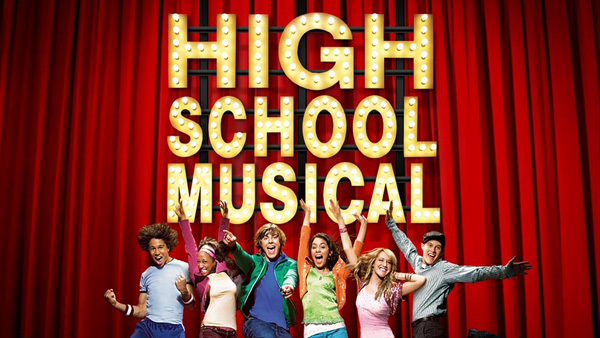 Our songbook includes 9 songs from the record-breaking, best-selling soundtrack, including: Breaking Free - Get'cha Head in the Game - Start of Something New - Stick to the Status Quo - What I've Been Looking For - and more. Includes a color photo section. This four-volume series is a giant resource of songs from musicals that appeal to the young singer. Songs from 13 The Musical - The Addams Family - Aida - Avenue - Bring It On - The Drowsy Chaperone - Hairspray - Hercules - High School Musical - In the Heights - The Last Five Years - Legally Blonde - The Light in the Piazza - The Little Mermaid - A Little Princess - Little Women - A Man of No Importance - Newsies - The Producers - Rent - Seussical the Musical - Shrek the Musical - Songs for a New World - Spamalot - Spider Man: Turn Off the Dark - Spring Awakening -ÿThoroughly Modern Millie - The 25th Annual Putnam County Spelling Bee - Wicked - The Wild Party - Wonderland and other musicals. 30 classic and contemporary Disney songs especially arranged for teen singers. Selections culled from the past 10 years of Disney Pop/Rock especially for teen singers. The CD includes fully-orchestrated, sound-alike instrumental tracks with talented young singers in full performances. The accompaniment tracks are also on the CD.